Today let’s discuss the Pachinko game that we’ve talked about before involving the ancient Chinese book “Records of the Three Kingdoms”. Ikki-Tousen has come to Pachislot! The popular characters Sun Ce, Lü Meng, and Guan Yu are of course, included. Also, Ma Chao will make her first appearance in battle in this game! 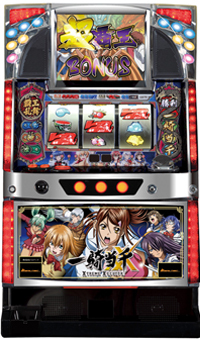 Enjoy both the Pachinko and Pachislot versions!